Thai New Year officially began on Monday of this past week, kicking off several days of hijinks, waterlogged afternoons and clay-smeared evenings. After last Saturday’s deadly protests here in Bangkok, I was curious to see how the notoriously wild festivities would unfold, but made the mistake of approaching the situation with a culturally dissonant, Western point-of-view. 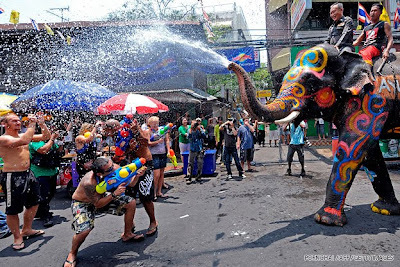 Given that it was sandwiched between a calamitous army crackdown and the red shirts’ promise to occupy Bangkok’s commercial area until Parliament was dissolved, I thought that perhaps the traditionally raucous celebrations of Songkran would be muted. Have I ever looked so happy in a photo? I don’t believe I have. Photo from Gary Arndt’s Songkran 2010 album. Yes, over 20 people were killed during last weekend’s army crackdown, but as one of my Thai friends said “in Thailand, there are worse things than death.” As a result, the attitude toward Songkran was the same, if not more concentrated: respects were paid to those who had died, makeshift shrines were set up adjacent to one of the main festival areas for Songkran, and the celebrations kicked off, despite a statement from the city to the contrary. From Sanskrit for “astrological passage” and signifying a move or change in the sun’s sign, the festival initially began as a display of respect for one’s elders and a time to start anew. It has, however, evolved into one hell of a waterfight. The more entrenched traditions, such as cleaning the Buddha statues with scented water and then collecting that water and pouring it over a family’s elders and teachers to bring good fortune upon them, remain. Wat Po’s grounds were covered in a series of tents, tables and shrines for Songkran and many Bangkokians came to pay their respects, purge the bad from the prior year and give alms to the monks. 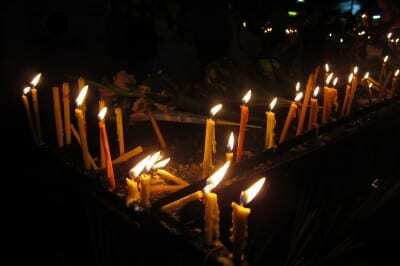 But present-day Songkran builds upon these traditions with abandon, and spirits Thai youth (and elders too!) into a maelstrom of smiles and soaked clothes and layers upon layers of clay. The clay: no one told me about this part of the festivities. Tiny pyramids of clay are sold in bags for 5 baht and, once dissolved in water, add to the hilarity of an already out-of-the-ordinary few days. Initially, the clay was meant to ward away evil spirits and provide protection, but as with the rest of Songkran, it has evolved (devolved?) into an excuse to smear the face of a passerby as thoroughly as possible. I found myself reaching into the bowls of passing clay-bearers to return the favour, usually resulting in a clay-off that had both of us drenched and trying not to eat any of the goopy stuff. Red shirt protesters celebrate Songkran. 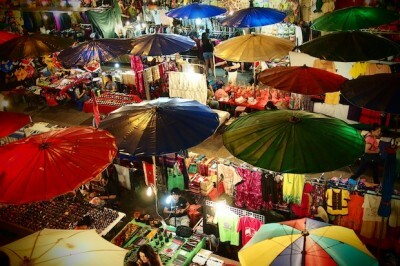 Image from CNNGo’s Songkran gallery. Day 1 of Songkran’ing was with the digital nomads: Gary Arndt wrapped his camera in a plastic bag, and joined me and Cody McKibben, Sean Ogle, Nikki Scott, and Sarah Lipman for a foray into the bowels of Khao San Road. The second we stepped out of the cab, we were drenched – and the day continued from there. For a relatively short street, it took us well over an hour to walk through it, stopped by the constant stream of waterfights, clay-smearing and of course, the woman in a frog costume standing on a stage with a supersoaker. The street was filled with Thai people as well, pressing through the throngs of people, smiling and screaming ‘Happy New Year!’ as they poured a bucket of ice cold water on my head. I think the elephant is winning this Khao San battle. Image from CNNGo’s Songkran gallery. We made the mistake of sharing a tuk-tuk back to Victory Monument area, and our driver gleefully slowed down at every street corner, allowing those gathered there to soak us even further. When I returned from the giant waterfight, I realized that while my Soi (side street) was lovely on any given day, it was a gauntlet of hell during Songkran. The motorcycle taxi drivers dumped 3 buckets of water over my head on the way into the street, then 4 children chased me down with supersoakers and baby powder. Then, closer to my apartment, a dozen of the street’s residents were waiting, blocking my path: more buckets of water, clay, a kiss on the cheek from each of them and a mandatory shot of Thai whiskey. This whole business repeated itself when I stepped out for Day 2. Me and one of the many people on my Soi who doused me with water. I love the girl’s expression in the background. For my second day, I went out with Cod, a Thai friend with a flatbed truck, a cooler of beer and a much better sense of direction than me. We drove with several of his friends into the heart of the Songkran-y action: Silom road.On both sides, traffic moved at a crawl as groups of people darted out between the cars with their waterguns, buckets of water and clay. A firetruck had stopped just under Sala Daeng BTS Station and was thoroughly soaking anyone within reach of its hose. No one was exempt from the madness of Songkran – even the police assigned to the area were hunched together outside a 7/11, fully clay-ed up and soaked to the bone. Overall, it was one of the most fun few days I’ve had on this trip, that much more poignant after witnessing the mayhem of the prior week’s messy protests. 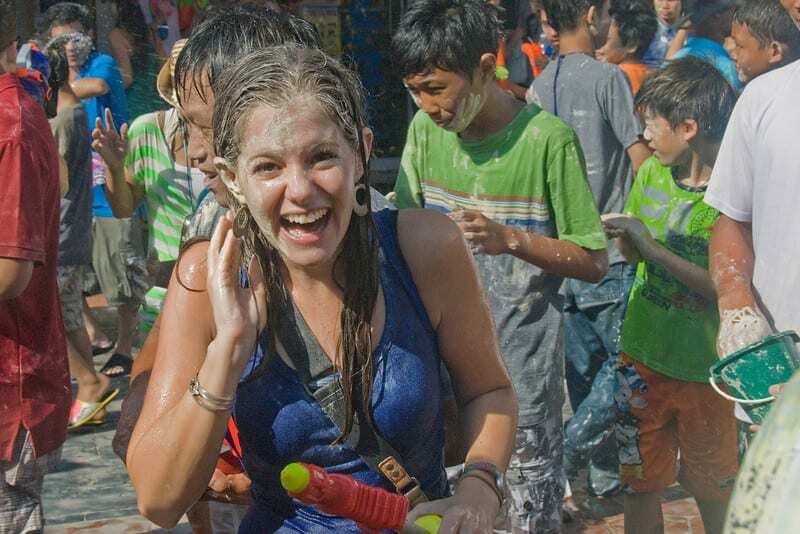 For more about Songkran, please see Travelfish’s writeup about Songkran for Beginners here. If you plan to spend Songkran in Thailand, either leave your phone at your guesthouse, or be sure to double bag it in Ziploc and/or invest in a waterproof case. Seriously. All the rice in the world won’t help soak away the moisture after a few days of that kind of wet. Also I would avoid motorbiking or driving at night during this holiday. There are many deaths from alcohol-related driving accidents and it is wise to simply walk or avoid going too far afield after dark. 17 photos from Songkran in Bangkok in 2015. Expert Vagabond on Songkran in Chiang Mai. This looks like a blast, Jodi. So much nicer to see people celebrating life and having fun than the tensions and tragedy that preceded it. I'm looking forward to celebrating Songkran in Chaing Mai next year! Too bad we got to meet up late that day! What a great time we had on Khao San Road. Great tips for any future Songkran-er, but I think you've left out the most important one of the bunch: have a bag of rice handy for soggy electronics! What a wonderful tradition! 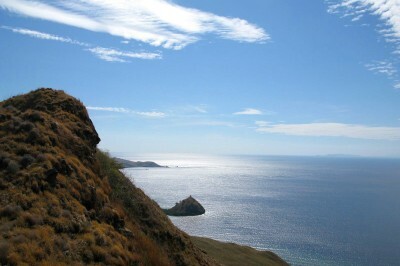 And how inspiring to see a lawyer chuck the corporate firm gig to embrace adventure for a while. Seriously. It was definitely a crazy few days, and I'm really glad I stayed in Bangkok to experience it. I'd love to check out Thailand at this time, maybe next year! This year I'll be there in July. It sounds like a fantastic festival and a great atmosphere.